"Gold Star Staff are very nice people and have been very helpful"
Seguin TX is a growing, robust economy that continues to diversify as more and more companies choose Seguin to build their facilities. A community of neighborhoods where families live among people of all incomes, ages, and backgrounds. 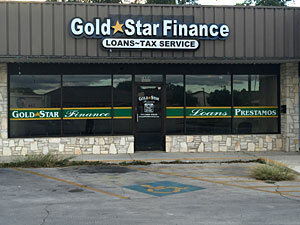 Gold Star Finance is proud to a part of the vibrant city. Come visit our King Street location for all of your small loan needs.